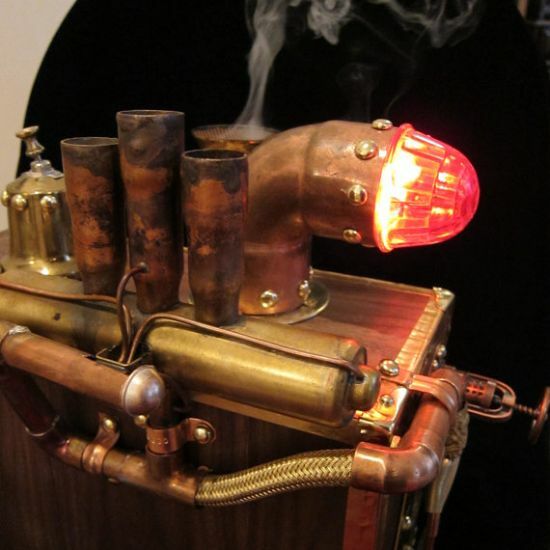 Moving computer technology back to the nineteenth century, Will Rockwell has come up with a Steampunk computer hard drive that generates power from steam. 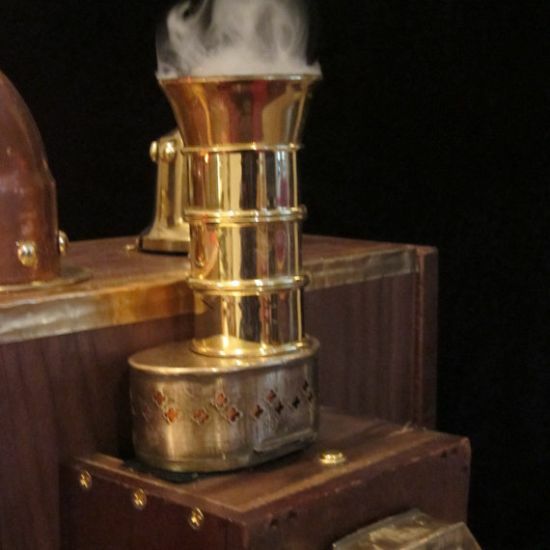 Using Charles Babbage as the external storage on Difference Engine, the retro device comes complete with drive service light, wheel and shaft, and simulates a steam driven powerhouse that produces smoke while working. To get additional RAM, all you need to do is pull the brass surge lever for a burst of overdrive, which releases smoke from the brass stack. 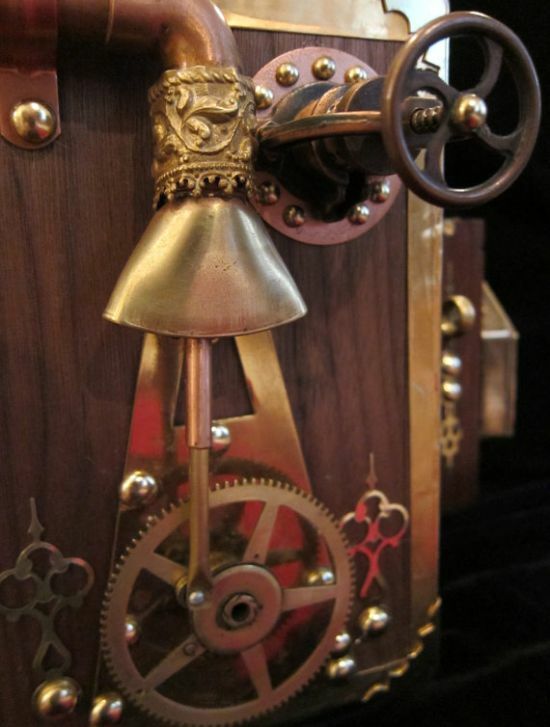 Encased within walnut veneer and brass edging, with elaborate plumbing and controls packing the surface, the steam powered hard drive also features a blinking service light that rises like a periscope, while the drive wheel churns forward persistently. 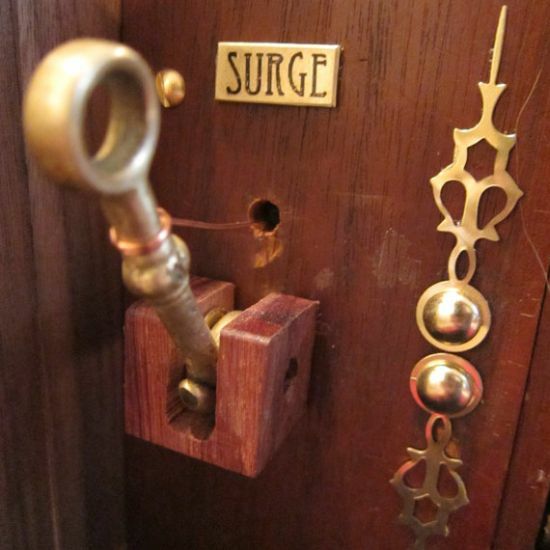 Essentially a case for your own external hard drive, the Steam powered device incorporates a hinged door, for power and connection cables, at the flipside. 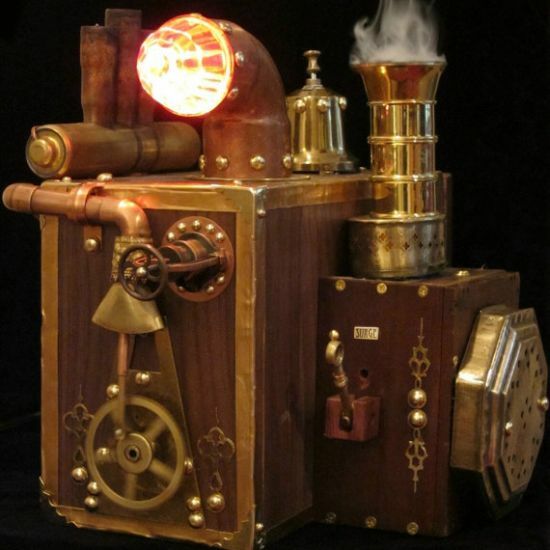 Intended to embrace different size hard drives, up to a Lacie Big Drive, the Will Rockwell’s Steam Powered Hard Drive can easily be rated over average Steampunk casemods.